The Denman Island Readers and Writers Festival has an intriguing line-up of authors for 2018. Our island’s annual literary event has been attracting book lovers for over 15 years, and next year’s group of writers is sure to maintain our reputation for being one of Canada’s best small festivals. Here are our 2018 authors with a few notes on their books and backgrounds. Caroline Adderson returns to Denman for a second year as facilitator of The Writing Week, our intensive five day writing program designed to provide budding writers with feedback, encouragement, and practical tips to get their work into finished and possibly publishable form. Last year, Caroline’s leadership was highly rated by the participants. 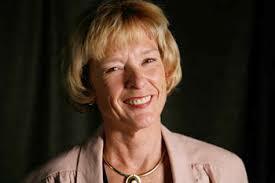 She is an accomplished author of several novels (The Sky is Falling, Ellen in Pieces, etc. 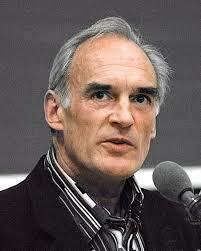 ), an experienced teacher, and an activist for the preservation of heritage homes in Vancouver. 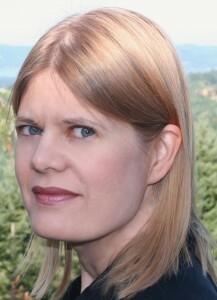 Marina Endicott comes from the Prairies with several highly regarded novels, including Close to Hugh and The Little Shadows. Marina has also been an actor and theatre director, and wrote the screenplay for a powerful documentary about the Arctic, Navarana. James Hoggan runs his own Vancouver-based communications consulting company and his most recent book is on a highly topical subject: I’m Right and You’re an Idiot: The Toxic State of Public Discourse and How to Clean It Up. Des Kennedy hardly needs an introduction to Denmanites. Gardener, raconteur, novelist, and long-time activist, his books include Climbing Patrick’s Mountain and Heart and Soil, with a new novel coming out in the spring. Christine Lowther is a poet, activist, and float-home dweller from Tofino. Her most recent book is Born Out of This, a remarkable mix of memoir, poetry, and environmental wisdom. Bev Sellars is a former Chief of the Xat’sull First Nations at Soda Creek, a lawyer, and a renowned First Nations non-fiction writer of two powerful books: They Called Me Number One and Price Paid. She is also active in the organization First Nations Women Advocating for Responsible Mining. Emily St. John MandeYl was brought up on Denman and now lives in New York. 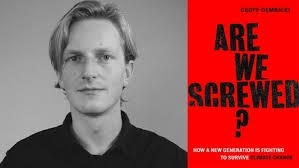 She wrote three well regarded books before her major breakthrough novel, Station Eleven, which became an international best seller and the subject of rave reviews from critics and readers alike. 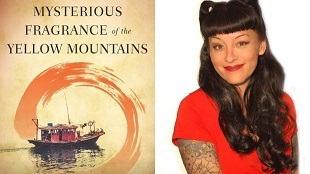 Yasuko Thanh comes from Victoria and her break-out novel, Mysterious Fragrances of the Yellow Mountains, won the 2016 Rogers Writers Trust Award and the Victoria Butler Book Prize. She also has a book of short stories, Floating Like the Dead. Sheri-D Wilson is a nationally known poet and spoken word artist. Two of her books are OPEN LETTER: Women Against Violence Against Women and Goddess Gone Fishing for a Map of the Universe. The Denman Festival tradition of spoken word performances continues with her participation. Six months to go before downtown Denman is crowded with authors, eager book-buyers, and Festival-goers from the island, Vancouver Island, the Mainland and even remoter regions. In the meantime, for those anxious to get a taste of the invited authors’ works, drop into Abraxas and order your books, and get ready to register in May for the 2018 version of the Denman Festival! We are pleased to announce the participation of Deborah Campbell in the Denman Festival 2017. She is an award winning journalist and author focused on social and political issues in the Middle East, Cuba, Mexico and Russia. She will be reading from her latest book, A Disappearance in Damascus, which won the 2016 Hilary Weston Writers’ Trust Prize, Canada’s largest literary award for nonfiction. Historian, novelist, and essayist Ronald Wright is the award-winning author of ten books of fiction and nonfiction published in 16 languages and more than 40 countries. Much of his work explores the relationships between past and present, peoples and power, other cultures and our own. His latest book The Gold Eaters, a novel set during the Spanish invasion of the Inca Empire in the 1520s-1540s, was published in 2015. Read the Globe & Mail review here! What does it mean to be a Canadian? 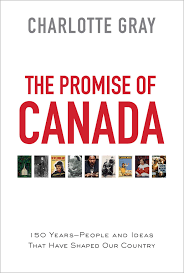 Charlotte Gray, an award-winning writer, biographer and historian brings together portraits of nine influential Canadians in her recent book, The Promise of Canada. She makes history come alive with this unique survey of the country over the past 150 years. Read more about Charlotte Gray here.